iGame Casino – Win a Tesla Model S! Win the car of the future! Deposit for your tickets to the raffle! Now you have a real chance to win the car of your dreams and relish luxury every day. For a Tesla Model S isn’t just another saloon, ot is probably the future of mobility for the next generations. Henceforth your challenge is to catch raffle tickets by depositing, the more raffle tickets, the better the chance to win. Easy as that. 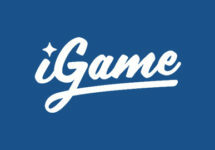 Not yet playing at iGame Casino? Then sign-up now to enjoy their 450 Free Spins, no deposit needed for new players from Finland, Norway and Sweden as well as 150 Free Spins for new players from all other countries and their massive Welcome Package with 4 deposit bonuses totaling € 1,000. Exclusive for players from Finland, Norway and Sweden. Get ready to drive the futuristic Tesla Model S 75 kWh, one of the first mainstream cars powered by clean energy, no fossil fuels needed. Some details: All-electric saloon, 0–100 km/h in 4.2 sec, Self-driving Hardware, Breathtaking 17“ capacitive touchscreen, Onboard navigation, WiFi and internet connectivity, Subzero weather package, Voice activated controls. Earn one ticket to the raffle for every € 10 deposited during the promotional period, running until 31st January 2018. Raffle ticket balance will be updated once a week and the participants will receive on Tuesdays a weekly email with the updated ticket amount. Amount of tickets per player is not limited. 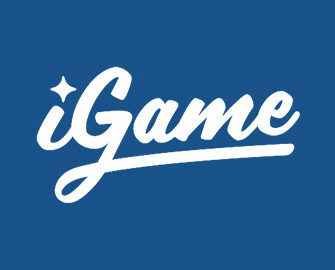 At the end of the campaign, iGame will randomly draw one winning ticket from all eligible entries. The winner will be contacted personally shortly after the draw. The prize cannot be exchanged for cash. Delivery time, color and other specifications are subject to availability. Terms and conditions apply. Operated by: iGame Malta Ltd.